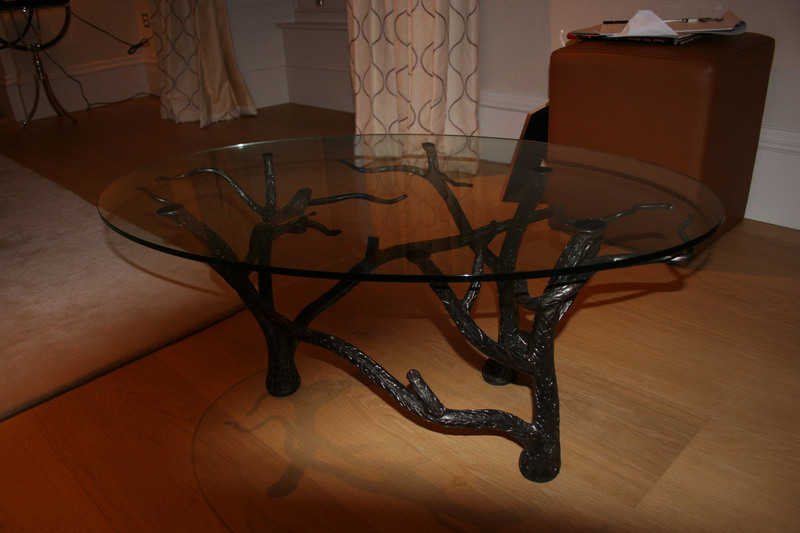 An organic coffee table forged in mild steel with a tempered glass top. Hand made by Andy Quirk and Graham Hart. At Utopia Forge I have been crafting metal for over 20 years. My reputation is for sympathetic design complemented by expert metalworking skills using a fully-equipped hot and cold metalworking studio. My work ranges from handmade gates and railings through to bespoke sculptural works of art using a large variety of metals and techniques. © 2019 Utopia Forge. All Rights Reserved. Website by Creative Monster.